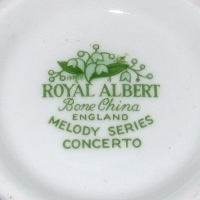 Vintage Royal Albert Concerto Teacup and Saucer - Melody Series! 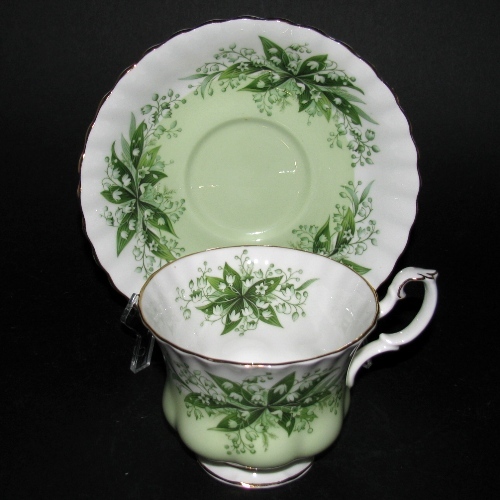 GORGEOUS Royal Albert Concerto teacup and saucer from the Melody Series. Green leaves with white flowers on a green background, gilt trimmed with scalloped edges. 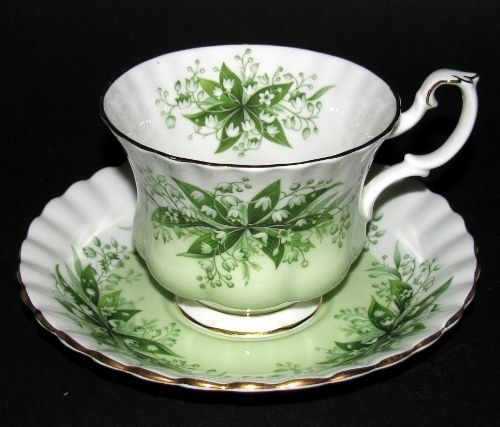 Tea cup measures 2 3/4 inches tall by 3 1/2 inches across. Saucer measures just over 5 1/2 inches across.